A grimoire is a magician’s manual for invoking demons and the spirits of the dead. 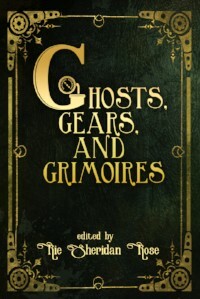 Within the pages of this book, you’ll find just such tales…along with a sprinkling of ghost stories, possessed machinery, and wicked deeds cloaked in Steampunk. Immerse yourself in the magic, mystery and mayhem.